We are at Mercy Hospital today for a long day of tests. 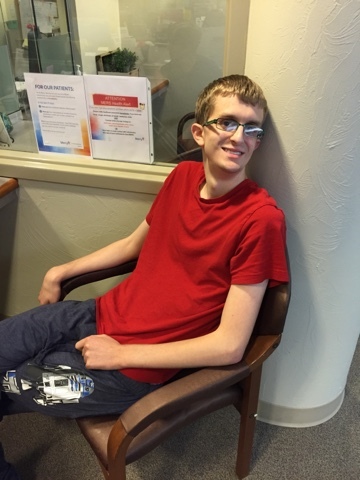 Robbie had a heart scan, lung scan, and is waiting for a complete bone scan. They gave him a shot of dye earlier today, so if the cancer has spread, they can see it easier. We are praying they don’t find anything new today. Lynn came down from Tulsa and Ruth sent cookies to help us get through the day. Lynn took this picture at the start of our day. Robbie is very tired, but enjoying the new headphones from Lynn’s old boss, Kent.